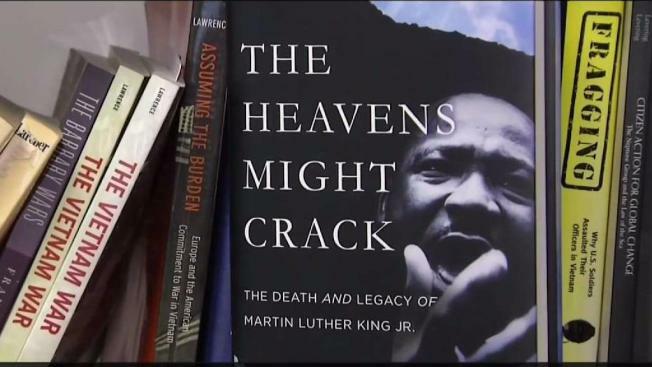 Jason Sokol, a professor and historian at the University of New Hampshire has authored a new book that explores the impact of Martin Luther King Jr.'s death called, "The Heavens Might Crack: The Death and Legacy of Martin Luther King Jr."
Wednesday marks 50 years since civil rights leader and icon Dr. Martin Luther King Jr. was assassinated in Memphis, Tennessee. Jason Sokol, a professor and historian at the University of New Hampshire has authored a new book that explores the impact of King's death called, "The Heavens Might Crack: The Death and Legacy of Martin Luther King Jr." Sokol says this book gives context to how Americans, and others around the world, grappled with King’s death in the days, weeks, and months after his assassination. Sokol also says the book reveals how the consequences surrounding King’s assassination shaped not only his legacy, but the course of the Civil Rights Movement and race relations in America. Sokol has spent much of his career studying Dr. King’s life and death. In Sokol’s class on Tuesday, he led an in depth discussion on the impact his assassination had on the country and the world. In a sign of those racially charged times, Sokol says grief and mourning wasn’t every American’s response. Even as King spent much of his life organizing for unity and justice, Sokol said King’s death further highlighted America’s divisions—divisions that still exist. Although Dr. King famously spoke of having a dream, Sokol said that Dr. King's vision is, unfortunately, still a long way from being reality. “There’s got to be a recognition that we're not at a place of racial justice and racial equality and there's got to be the commitment by people who have power in our society to live more toward a more just America,” Sokol said.